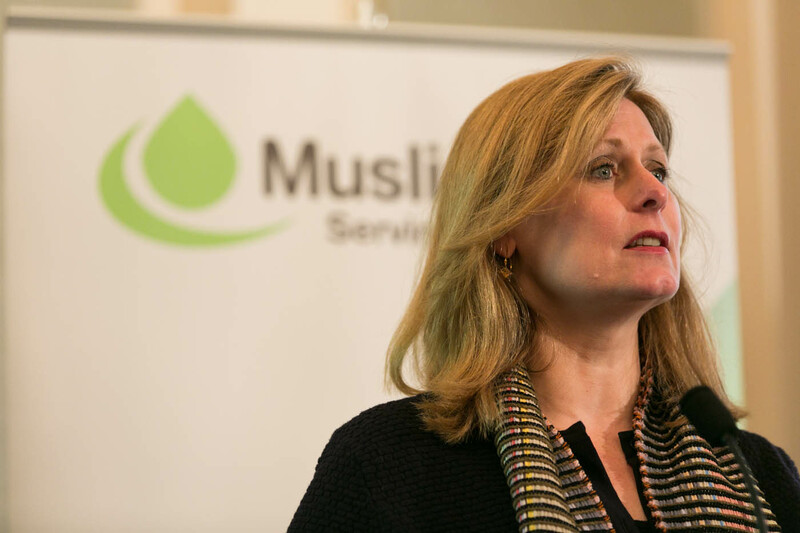 On 19th of June 2014, Muslim Aid launched its Ramadan Campaign at the Grand Connaught Rooms. With the combined efforts of the staff members and volunteers, this campaign will raise funds for projects assisting poor and vulnerable communities through out the year as well as ensuring they receive vital sustenance during the month of Ramadan. The theme of Ramadan campaign Give Freedom highlights the importance of helping communities living in destitution and conflict zones to achieve freedom from hunger, disease and poverty. Muslim Aid’s Ramadan campaign 2014 includes ‘Feed the Fasting’ programme through which food packs are distributed to people living in extreme poverty, emergency appeals for refugees and Internally Displaced Persons (IDPS) from Syria, Myanmar and Central African Republic, long-term child sponsorship and poverty reduction programmes. The event was hosted by Mr Ajmal Masroor. Keynote speeches were delivered by Sir Iqbal Sacranie, Trustee of Muslim Aid, HE Mustafa Mujezinovic, the Ambassador of Bosnia and Herzegovina, Mrs Sarah Brown, co-founder of A World At School, Ms Saira Begum Mir, founder of PL84U, Mr Gavin Shuker, Shadow Secretary for International Development and Mr Hamid Azad, CEO of Muslim Aid. The event also included a message from Professor Eklemeddin Ihsanoglu and performance by Faisal Saleh and Abul Kalam. Last year, 253,000 beneficiaries were supported by Muslim Aid’s ‘Feed the Fasting programme’ in 41 countries, spending £450,000. In the UK, Muslim Aid also extended its ‘Feed the Fasting’ programme by distributing food to homeless people. 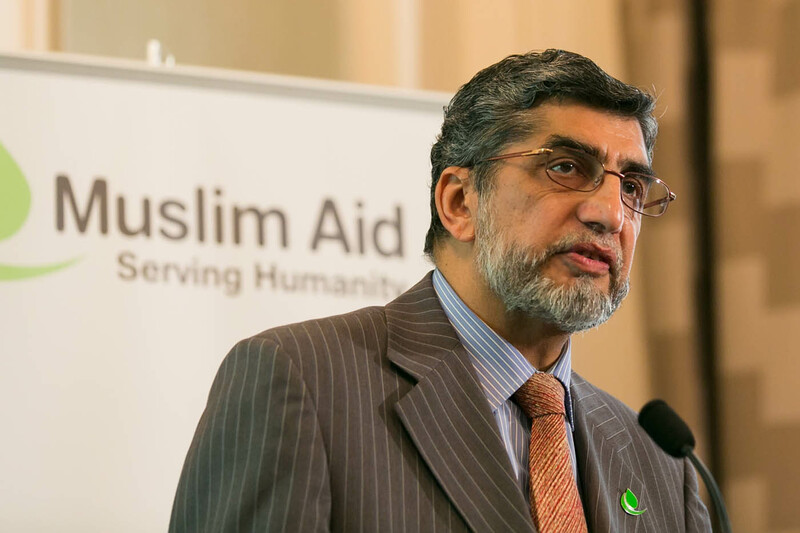 Muslim Aid was established in the UK in 1985 by community leaders from 17 Islamic organisations in response to the drought in the Horn of Africa. 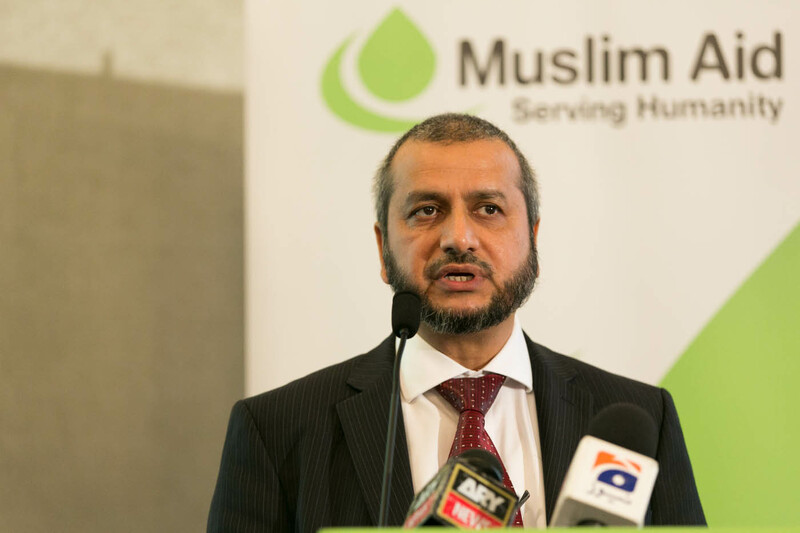 As a leading and well established faith-based British humanitarian charity, Muslim Aid's work is governed by the teachings of Islam, such as compassion, empathy, generosity and helping others in need. This is implemented through emergency responses and eliminating poverty and its causes by developing innovative and sustainable solutions that enable individuals and their communities to live with dignity.